Contest alert: We’re hooking one lucky winner and a friend up with tickets to Electric Zoo this Labor Day Weekend, plus 100 runner ups will score an invite to the official Hooch x Tablelist floating cocktail party at Fish Bar. Read on! Some summer nights in NYC, it’s all about cooling off with a chill cocktail at your favorite bar or lounge. Other nights, it’s about going wild for festival season with your friends & favorite DJs. That’s why Tablelist Platinum and Hooch have teamed up to give one lucky winner the ultimate Electric Zoo experience; 2 VIP tickets to a day of the festival, plus ride in style from Manhattan to Randall’s Island and back! The big winner will be announced Thursday 7/14 at 5pm. 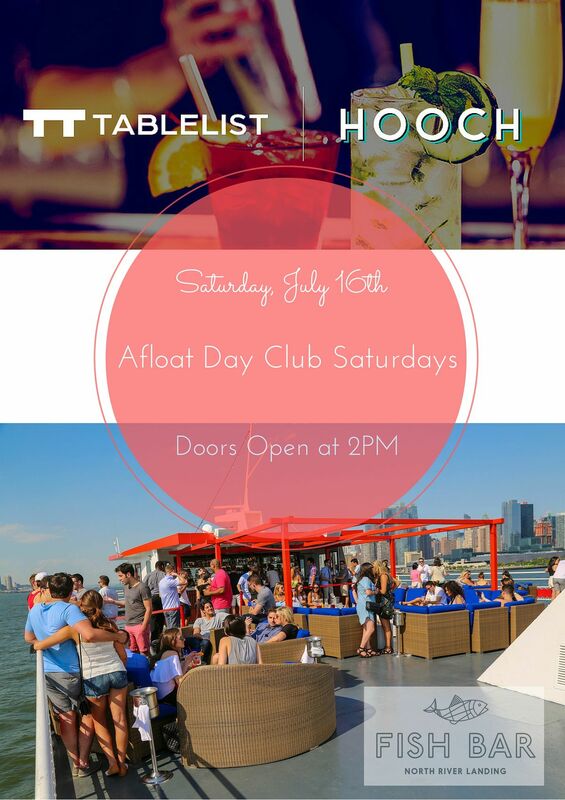 Win or lose, you’ll score your first month of Tablelist Platinum for free, as well as your first month on HOOCH for only $1, AND get an invite to the HOOCH x Tablelist floating cocktail party at Fish Bar, Saturday 7/16 from 2-6pm. Enter now with code HOOCH for your chance to be our grand prize winner! Get your Exclusive invite to the HOOCH x Tablelist Fish Bar floating cocktail party today: Limited free RSVPs available!